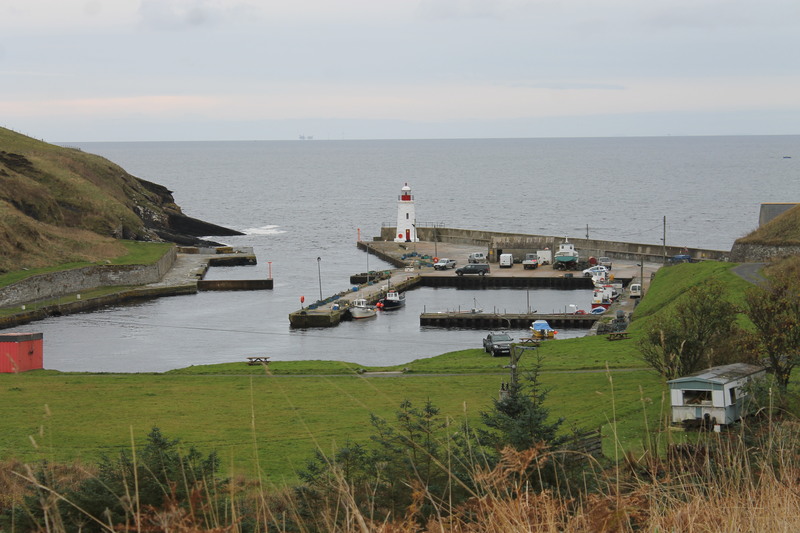 At the beginning of the month we spent a day in Caithness and happened upon Lybster. The last time I’d been down to the harbour there to see the lighthouse there was thick fog and the harbour was sitting just below it. It was really quite spooky and it was good to revisit to get a better picture of the place. A much more pleasant experience! We also caught a glimpse of an otter running around, firstly on the pier and then on the rocks near the entrance to the harbour. There was not much else going on in Lybster, being out of season, so we continued up the road to a place we’d seen on ‘Coast’ a few days before: Whaligoe Steps. We parked up and made our way towards the steps. As we passed the café we were joined by a very cute tabby cat, who we later found out was called Star. Star led the way down the steps and took us all the way to the bottom and back up again. The steps are fantastic. There are 365 in total and they were built in the 19th century for fisherwomen to drag up the herring caught by the fishermen from the small harbour at the bottom. I’m not sure how they managed, but they would have had some fantastic views in the process – if they’d had the time to look! It’s a wonderful and peaceful place. 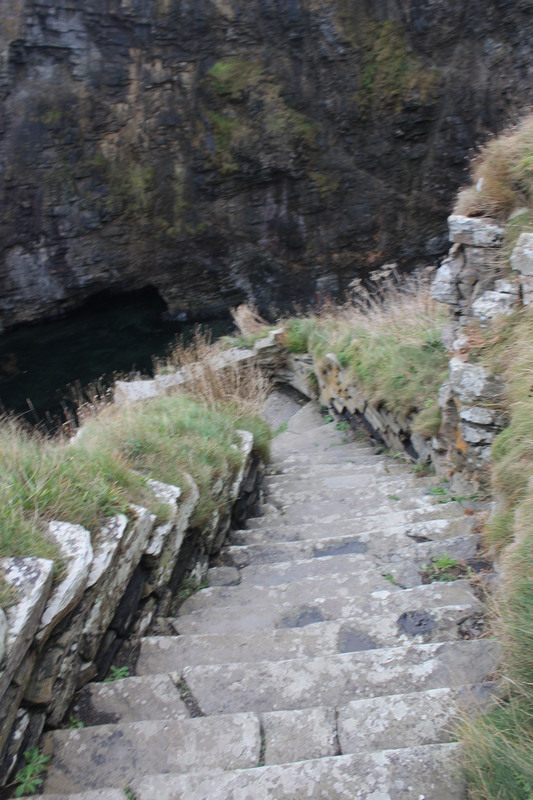 Once Star had delivered us cleverly to the entrance to the Whaligoe Steps Café at the top, we went inside and ordered some soup and homemade marshmallows. The soup was delicious and the bread accompanying it was amazing. We enjoyed it so much that we asked the chef how it was made and she took us into the kitchen to show us. She also gave us a free sample ready for us to heat up for a couple of minutes when we got home. This joined the additional homemade marshmallows we decided to buy too! On our way back home we had a bit of a domestic afternoon with a visit to Homebase, some Christmas shopping in Wick and placing an order for our window seat cover in Thurso. Who knew the lighthouse tour would go all domesticated!